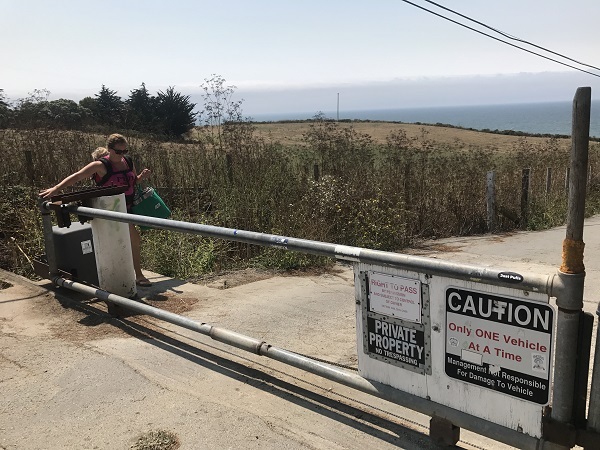 SAN FRANCISCO (CN) – Advocates for public coastal access scored a victory with the California Supreme Court’s refusal Wednesday to hear an appeal by billionaire accused of thwarting beachgoers from reaching a Northern California beach. 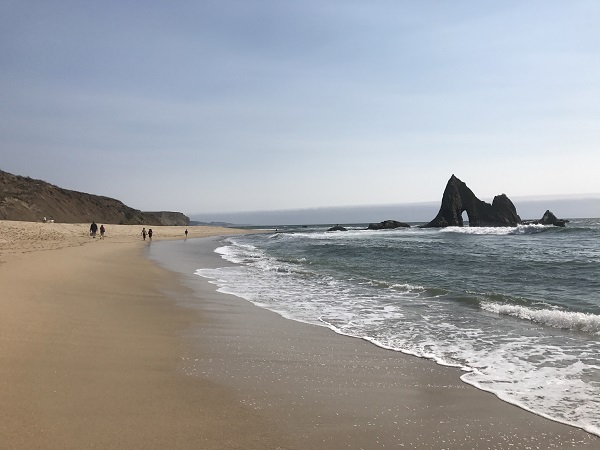 The state Supreme Court’s refusal to take up billionaire Vinod Khosla’s appeal means a lower court’s order to open a gate to Martins Beach to the public stands. “This is a victory for my client, the Surfrider Foundation, and for the greater public,” said Eric Buescher of Cotchett Pitre & McCarthy, the firm representing Surfrider. However, Buescher said he fully expects Khosla’s legal team to appeal the matter to the U.S. Supreme Court, the only remaining legal recourse at this point. Surfrider also praised the high court’s refusal to hear the appeal. Martins Beach is a spectacular crescent shaped beach about 7 miles south of Half Moon Bay with jagged features jutting from the shoreline, creating one of the more scenic coastal landscapes on the Central Coast. The beach’s beauty and its proximity to San Francisco has made it a popular weekend and day-trip destination for generations of Bay Area residents and other Californians. Prior to 2008, when Khosla – a co-founder of Sun Microsystems and prominent Silicon Valley billionaire – purchased the property, residents could access the roughly quarter-mile road connecting the beach to Highway 1. After Khosla took ownership, he installed a gate and put up a sign forbidding access. The Surfrider Foundation sued Khosla’s two holding companies, Martins Beach LLC 1 and 2, in San Mateo Superior Court in 2013. The foundation said Khosla needed a coastal development permit from the California Coastal Commission in order to make a change to beach access. The court ruled in favor of Surfrider. A state appeals court upheld, and ordered Khosla to keep the gate open while the case is adjudicated. Khosla and his lawyers have long maintained the issue at hand is one of property rights, saying it’s Khosla’s decision whether to allow public access to a property he owns outright. He sued both the Coastal Commission and the California State Lands Commission in federal court earlier this year, accusing the agencies of a pattern of harassment done for purely personal and political reasons. Both commissions have threatened heavy fines if Khosla continues to keep the gate closed, and the billionaire recently relented by opening the gate during certain times during the week and on weekends. But the Surfrider Foundation and others say partial access is not enough. The California Legislature opened another battlefront against Khosla earlier this year, passing a bill that would have set aside funds to take the land needed for public access of Martins Beach through eminent domain. But Gov. Jerry Brown vetoed the bill, saying as written it would have undermined eminent domain rather than supported it.